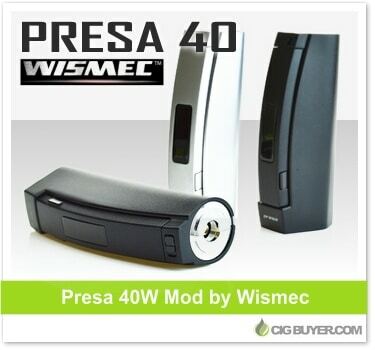 The Presa 40W Mod by Wismec is a unique and beautifully designed device that not only looks great, but comes at an reasonable price. It has a sleek, modern appearance and is ergonomically sculpted to fit comfortably in the palm of your hand. It puts out up to 40W of power (or 10V), includes a high capacity 2600 mAh battery and will fire down to 0.2 ohms. The one of a kind firing runs almost the entire length of the device, with an OLED screen and up / down buttons built right in.